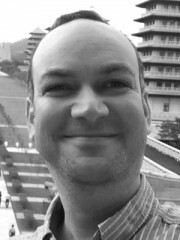 Jonathan Mair has conducted research on Buddhism in northern China and Taiwan. He has published on cultures of belief, ignorance and knowledge, and is currently engaged in a project to generalise these interests under the rubric of cultures of metacognition. He also writes about the anthropology of ethics and his most recent fieldwork focuses on a novel, and very popular, 'self-cultivation retreat’, organised by a Taiwanese Buddhist movement, Fo Guang Shan.